Do you know someone who loves poetry, quotes and sayings? Put a smile on their face by collecting a range of literary masterpieces in an elegant Pixum Photo Book! Take photos fitting for poems about romantic sunsets, atmospheric still life, nature blooming in spring spring or idyllic winter wonderlands. 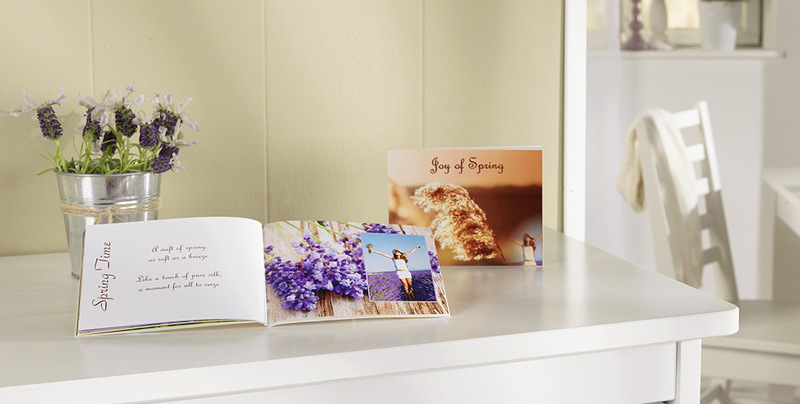 Choose a Pixum Photo Book with a soft cover with glue binding. You can then create the front and back cover of the book according to your wishes. For example, use a cursive font and an attractive photo, giving your poetry book a unique sense of style. Place a photo a photo on one page, with a matching poem, quote or other piece of inspiration on the page next to it. If you want to make your personal anthology even more personal, use anecdotes or quotes that have a special meaning to the recipient. Or write your own poem (be sure to have a thesaurus or rhyming dictionary to hand!). Making a Pixum Photo Book for the first time? Get our free Pixum Photo Book software to create your unique poetry book. We hope you enjoy getting creative! *All prices include VAT, with postage as per our price list. 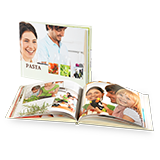 Create your own Pixum Photo Book using the free Pixum Photo Book software.